As of the date of this post, WebGrrrl.net still runs on WordPress 4.9.7. Therefore, at this moment, this post still uses the plugin version of Project Gutenberg, the new editor that the folks at WP.org ensured all its users to anticipate by the time WP version 5.0 rolls in. Instead of the usual linear content typing that we’re used to in our desktop word processors (e.g. Microsoft Word, LibreOffice Writer, Google Docs), Gutenberg provides you a way of dealing with design simultaneously as you build your content. Think of it as if you’re adding and mixing in blocks of text and images at different spots within your document. 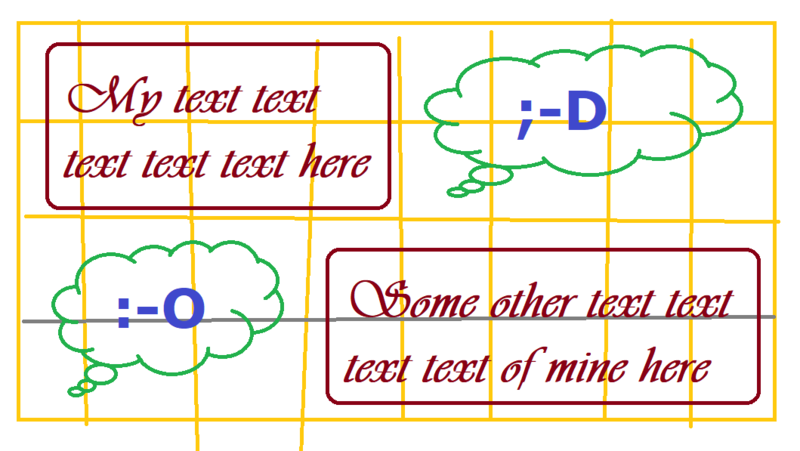 Blocks is like what you do with Shapes and Text Boxes in LibreOffice Writer. If you have little to no knowledge of web development, then this is the closest you’ll get to experiencing the modern way of building websites. Web developers like myself who utilise Twitter Bootstrap or grid design frameworks to deal with responsive websites, will feel very much at home with Gutenberg. Grid designs like Bootstrap works kind of like this. For most content developers who prefer to just spew-type our thoughts the conventional way, working with content blocks does take a while to figure out. It can be particularly distracting, too, because it forces to you decide HOW to lay out your content instead of just focusing on WHAT your content is all about. I have a fancy quote right here, y’know. Thank you, Gutenberg editor. … should I line up my quotes this much? … what image should I add? … did anyone noticed that I used the built-in drop cap in Gutenberg to make my letter A gigantuous? I personally only tried Gutenberg on my laptop, and I haven’t tried it on mobile yet, but it seems like from the preview that the blocks won’t be much of an issue there. It is as though the blocks are not as obvious as it would look like on a desktop computer. I do appreciate the simplicity of the editor, as the toolbar is now squeezed into this tiny but powerful plus sign on the top left corner of my screen. It stores everything from formatting to shortcodes and embedding whatever to your heart’s content. The Distraction Free option, which I can usually access via the Screen Options on the top right of my screen, is now replaced with the Gear icon. Clicking on the Gear icon will display or hide the bulky options on my editor. I’ve used Elementor and Unyson plugins, both allowing non-coder and web designer to rapidly design impressive looking (but deadly resource-heavy) websites. The plugins have block elements built into them to allow drag and drop capabilities. While still more advanced than Gutenberg, the fact that Gutenberg now has an in-built feature to lay out content more flexibly is something that Elementor and Unyson need to be careful if they’re relying on their freemium business models to survive. I feel sorry for the developers who heavily rely on these plugins to build their clients’ WordPress websites, too, because Gutenberg’s interface could possibly wreck havoc on the visual editors. I’m on a wait-and-see stance on both of these plugins; at least Elementor is trying to deal with the changes even though they aren’t clear about how they’re handling it, and Unyson users had to resort to using the no-less-interesting Brizy as alternative due to Brizy’s separate editor interface from Unyson’s original integration with WP’s classic editor. Let me conclude by stating how relieved I am that I build my own themes and not rely on drag-and-drop solutions to design my sites. I and a bunch of us in the Kota Kinabalu WordPress Meetup community will be chatting more about this in our August meetup. If you’re in town, feel free to join us!